One of the goals of Reach-Out Roleplaying Games is to encourage cross-cultural dialogue using gaming as a venue. What exactly do I mean by that though? 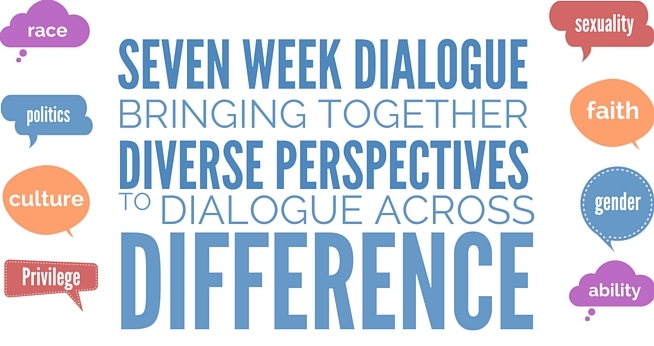 Dialogue is a method of semi-formal to formal discussion surrounding difficult topics. Dialogue is often facilitated by a neutral or semi-neutral party to help the participants in dialogue understand and respect one another. Dialogue is not debate, the goal of the discussion is not for anyone to win or lose, though understanding and perhaps acceptance of another viewpoint is a potential benefit of dialogue. In a lot of ways, dialogue is very similar to table-top gaming already. You have a Game Master who facilitates a world-building discussion and shared story. Dialogue is about understanding each other’s stories, lives, and circumstances. I was hired to host a dialogue at American University during my first semester of Graduate School, and part of my sales pitch was that I had run so many games over the years. Game Mastering or Storytelling is a really similar skill-set. You have to arbitrate the discussion, you have to give everyone a chance to contribute, and you have to be able to ask follow-up questions to get to the heart of what a person is looking to say. This is part of why I think gaming can be used in a dialogue to deepen that process. Dialogue as a process is usually used to deal with heavy issues. For example, dialogue is used to bring Jewish and Muslim families together to discuss the conflict between Israelis and Palestinians. Most games are not overtly designed to talk about heavy ideas, but they can. Imagine getting a group of people from the same conflict above together in a gaming session. Instead of having them discuss the conflict over land that they are familiar with, you could develop a story that shows two groups of fantasy creatures fighting over shared space. You don’t want to be too ham-fisted about that, but if you mirror some elements of the shared experience participants are familiar with, you may be able to open eyes that didn’t see such parallels before. Normally dialogue happens over a series of discussions. Sometimes these are in chunks over a few short days or a weekend, and sometimes they are split over a series of weeks. For example, the dialogue I ran occurred over 7 weeks. This is a good time frame for a 7 game storyline; imagine sessions running for 4-5 hours each week. During a dialogue session, you would create a theme or series of specific questions to ask during that session. 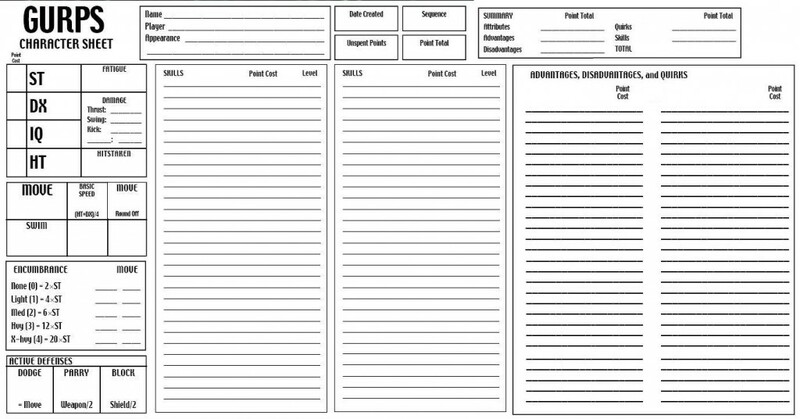 For our gaming method, you are replicating a similar process by outlining what sort of events you’d like to have occur in each episode/session/game. Create 80% complete pre-generated characters. As the game master this gives you some more control over what sort of skills, powers, abilities, or interests each character will have. That allows you to plan the story more effectively. At the same time, you want the players to invest some of themselves into the characters. Depending on the game you are creating this 80/20 rule will look a bit different, but you want to ensure you give the players just enough customization to matter and you don’t want to overwhelm them with a GURPS level character creation either. Set a topic, and recruit players that are interested in addressing the topic you are going to use. You want to design your story to address some of the real-world elements you are working into the dialogue. For example, you want to host a dialogue session on racial tension in the United States? Cool, first thing you want to do is recruit players willing to dialogue over this issue, try and create a diverse group, and then incorporate concepts of race relations into your chronicle design. There are a lot of ways to do this. If you are playing a fantasy game, having two actually different game races in conflict may seem a bit too heavy handed. At the same time, discussing tensions between Dwarves and Elves might work perfectly for the story you want to tell. Balance it; find the right elements that fit your goals. The Eberron setting for D&D has some effective interpretations of Goblins as an underprivileged group. Games like Urban Shadows allow for modern fantasy investigations into concepts that would be good to dialogue with as well. The goal here is to address a topic your players want to investigate and weave it into your story. At the same time as you are designing your chronicle, you would want to plan for and develop a short ground rules and debrief before and after each gaming session. The ground rules let you as the game master/facilitator establish what the group understands about dialogue, gaming, and lets you set some ground rules for how you will interact with one another. No swearing, no shouting, are good examples, as well as dice should be rolled on the table, and perhaps no chips at the table. (That is a mix of dialogue and gaming rules I’ve instituted over the years at different times) From the rules, you have a framework to hold your players accountable during the game and after during the debrief sessions. You may want to either hold the debrief at a different time, or set-aside an hour or two at the end of every game to work through it. This debrief will help the players internalize the concepts they dealt with in-character, it may help them either notice or eliminate negative bleed, or it might help them identify positive bleed. 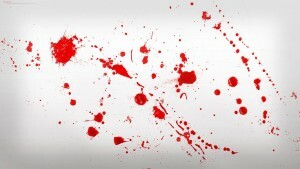 Bleed is a concept normally discussed in LARP, but also can be experienced at the table. Using role-playing as a dialogue method, you’ll likely see more bleed than usual. From a gaming perspective you want the sessions to be interesting, engaging, and fun. From the dialogue perspective you want the sessions to be deep, and dive into topics that might be sensitive. This requires you actively engage your players for feedback and approval throughout the session. Every player should know what they are getting into. Trigger warnings are beneficial prior to sessions, as are methods of leaving a scene. There are some methods that are used in Nordic LARPS that could be useful to adopt. Around a table, with smaller groups, it should be easier to do verbal check-ins to ensure that players are comfortable with the game. If not, stop. Consent and collaboration are important to the process. How is the game going so far? Do you have any questions? Do you have questions about how your character is acting in relation to others? Are you comfortable with the items the story is addressing? Do you want to discuss any actions taken by a player that occurred in-character? Is anyone concerned with IC or OOC action taken by anyone? Are there aspects of the game you want to play more of? This is an early model of this type of gaming as dialogue model. If you have questions, ideas, suggestions, or would like to provide feedback I am more than open to discussing this idea further. Josh is the Admin@KeepontheHeathlands, he’s got a degree in International Peace and Conflict Resolution from American University. Posted in Dungeons and Dragons, RORPG, World of Darkness and tagged Dialogue, Dungeons and Dragons, Inter-cultural, LARP, Nordic LARP, RPG's, World of Darkness.